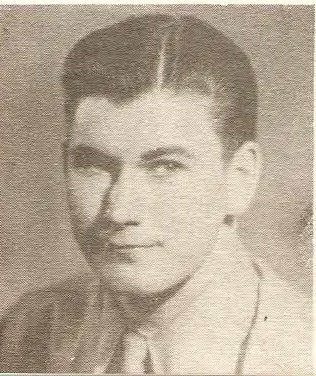 S 1/c Jo E. Ivie, son of Mr. and Mrs. M. B. Ivie, attended Newcastle High and Texas Tech. Entered Merchant Marines, 1944, trained in Calif. and N.Y. Transfered to Navy, 1945, trained in San Diego. Served on USS Dayton, N Division. Awarded APO and EAME Ribbons. There are 2 pictures on this page that are next to the name Ivie, Jo E. I am unsure if both are pictures of Mr. Ivie. 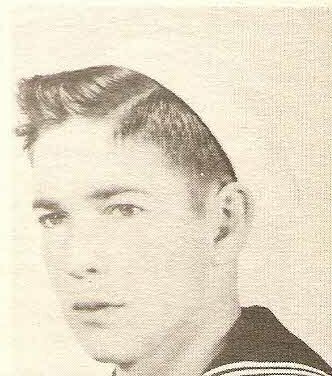 He was in the Merchant Marines and transferred to Navy. If you know this individual, please let me know which picture is correct.